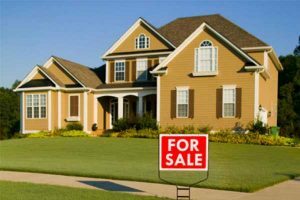 If you're a property owner in Florida, the prospect of selling your home can seem daunting given the variability of the housing market and the complexity of state law. 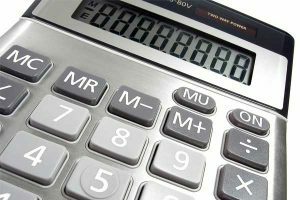 How can you be sure that your home has been properly valued? What is the best way to market your home? Which costs should you expect to pay after closing on a sale? Before you attempt to sell your home, it is important to survey the available information in order to make sure that you get the most bang for your buck. By negotiating the nuances and fine print of Florida real estate law -- and by seeking the assistance of a professional realtor & attorney -- a homeowner can ensure that his or her property gets sold quickly, fairly, and in a way that won't break the bank. Who Pays the Closing Cost on a Home in Florida? In the State of Florida, both buyers and sellers pay closing costs on a home. The types of closing costs may vary depending upon the sort of transaction that is processed and upon the terms of the contract of sale. If a home is purchased via a cash deal, buyers can expect to pay recording fees for the deed, inspection fees, and legal fees. If a buyer avails him or herself of a financing plan, he or she will also have to pay taxes and recording fees for all notes and mortgages, an intangible tax on the mortgage, recording and surveying fees, lender's title policy and endorsement fees, lender origination fees, appraisal fees, and pest inspection fees. Sellers are also expected to cover closing costs, and these costs are typically spelled out in the contract. Closing costs may include documentary stamp taxes and surtaxes on the deed, title search charges, HOA or Condominium Association estoppel fees, title cure fees, legal fees, and realtor commission fees. How Much are Closing Costs for the Seller? The amount that a seller is likely to pay in closing costs depends on the value of the home. Because many of these fees and charges are negotiable, there is a high degree of variability from one sale to the next. In general, feels tend to fall within certain ranges, and by adding those charges together, we can estimate what a homeowner is likely to pay in closing costs. Prior to selling a home, the owner must pay for a title examination to ensure that no claims have been filed against the property. This generally costs from $200 to $400. A closing fee is assessed by the title company in order to complete the transaction, and this fee can range from $500 to $800. 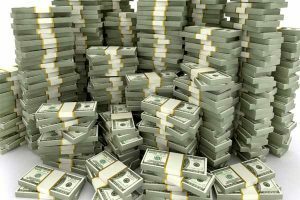 Documentary stamp taxes in Miami-Dade County cost sixty cents for every $100 of value, and all other counties in the State of Florida assess a 70-cent fee for every $100. This means that a $300,000 home will carry $1,800 in stamp taxes. Realtors charge a commission, and this tends to fall in the range of about 6% of the value of a home. If you've sold a $300,000 home, this adds up to about $18,000. Depending on the contract, you may be required to pay for a pest inspection, and this can cost upwards of $100. By adding up all these charges, we arrive at a conservative estimate of $43,000 in closing costs on a home worth $300,000. The more valuable the home, the greater the fees will be. Many homeowners neglect to take these charges into account before they sell their home; it is important to keep closing costs firmly in mind to ensure that your sale goes smoothly. How Often are Closing Costs Split? In Florida, closing costs are almost always split between the buyer and the seller. Because the conditions of the contract are negotiable, the amounts and types of fees can vary significantly, but split closing costs are the rule rather than the exception in the State of Florida. Staging fees vary depending on the services rendered and the level of promotion. Stagers provide a valuable service whose worth should not be underestimated. A good staging can attract interest and lead to a significant increase in the perceived value of a home. On the low end, homeowners can stage a home for as little as $100. Other stagers charge upwards of $5,000. On average, a typical Florida homeowner can expect to pay about $1,800 to stage a home. 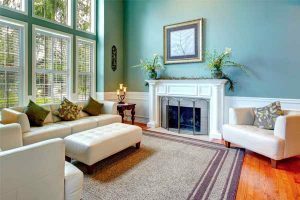 While this may seem pricy, staging services are one way to make absolutely sure that your home gets sold, and that it is marketed at a value that is appropriate and fair. 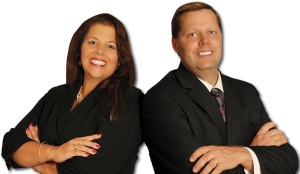 In the State of Florida, the seller normally pays both sides of the real estate commission. In situations in which the division of fees is perceived to be unfair, the buyer's agent may be disincentivized from showing the seller's home. Prospective homeowners should remain wary of any realtor that charges commissions for buying, as this is not standard practice. How Much Does It Cost to Sell a Home through a Realtor? For homeowners looking to make a quick sale and move on with their lives, the services of a realtor can be a worthwhile investment. Realtors do an outstanding job of making problems disappear. They can market your home, increase its value, and ensure that it winds up in good hands. Because fees are negotiable, it is possible to enjoy the benefits provided by a realtor at a reasonable cost. 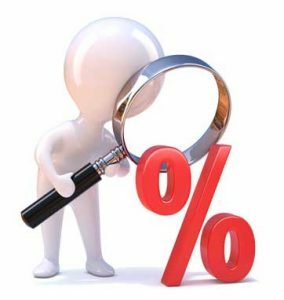 On average, realtors in the State of Florida assess a fee that ranges between 6 and 8 percent of the value of a home. If, for instance, you are selling a $300,000 home, the realtor will charge approximately $21,000 for his or her services. This may seem like a lot of money, but an experienced realtor will typically reward his or her clients by selling a home quickly and at its maximum possible value. How Much Does It Cost to Sell a Home by Owner? Hypothetically, it might not cost anything to sell a home on your own. Of course, the reality is always costlier than the fantasy. To get a basic MLS listing, homeowners can expect to pay a minimum of $400. This certainly beats the $21,000 realtor commission we mentioned earlier, but the problem with FSBO sales is that buyers have a tendency to attempt to lowball the purchase. Independent homeowners might not be able to attract prospective buyers and, in desperation, may settle for a deal that seriously underestimates the value of their home. If a home is worth $300,000, it's easy to imagine a buyer slicing $21,000 off the cost. Realtors charge a commission because they do a valuable job. Promoting a home is hard work, and unless you seek the assistance of an experienced professional, you may find yourself on the wrong end of a bad deal. Who Pays for a Home Buyer Warranty? If a home buyer warranty is offered, it is generally covered by the seller. 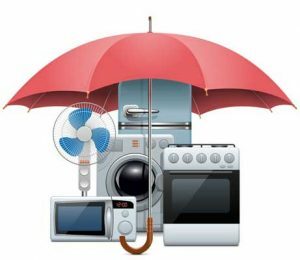 The conditions of the warranty (and whether one exists in the first place) are dictated by the terms of the contract. During negotiations, a buyer can request that a seller offer a warranty and cover the full cost. Real estate closing companies can also assist with the deliberation process. Do I Owe Capital Gains Taxes After Selling a Home? 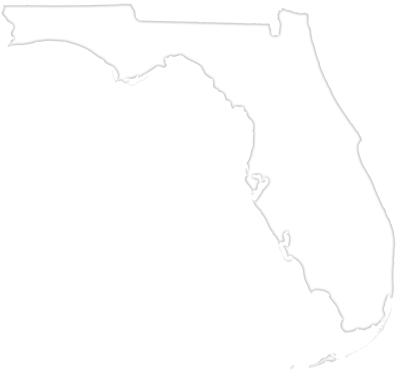 As of 1997, Florida homeowners are exempt from capital gains taxes provided that they meet a certain set of criteria. 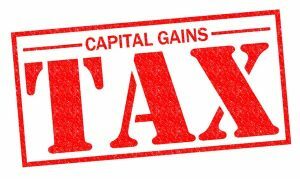 If a homeowner has resided in his or residence for two out of the last five years, and if he or she has If not sold any other properties within the past two years, the homeowner may be exempt from capital gains taxes. Provided these qualifications are met and the home is valued under $250,000, no capital gains taxes are assessed after a sale. For married couples, a home worth up to $500,000 remains exempt from capital gains taxes. 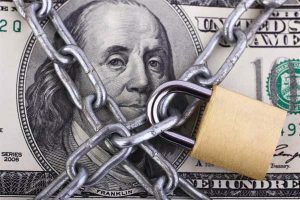 Since 2003, the IRS allows certain homeowners to qualify for this exemption in the event of "unforeseen circumstances," which may include divorce, medical emergencies, or loss of employment. Who Pays for Inspections and Repairs When Selling a Home? The seller is on the hook for all inspections and repairs that coincide with the process of selling a home. Buyers maintain a great deal of leverage during the negotiation process, and if the buyer is dissatisfied with the results of the inspections or with the quality of the repairs performed, he or she maintains the right to opt out of the contract in most cases. What is the Florida Documentary Stamp Tax? The Florida documentary stamp tax is levied on documents ranging from deeds, stocks, and bonds to mortgages, contracts, liens, and other forms of indebtedness. In other states, this tax may be referred to as a transfer tax. In most parts of Florida, the documentary stamp tax is 70 cents per $100 dollars in value. If, for instance, a home is sold for $250,000, the seller can expect to pay approximately $1,750 in stamp taxes. An exception is Miami-Dade County, which levies a 60-cent stamp tax for every $100 in value. If the property for sale is something other than a single-family home, the stamp tax also includes a 45-cent surtax for every $100 in value. Before selling his or her property, a homeowner must file a Return for Transfers of Interest in Florida Real Property (Form DR-219) with the clerk of the circuit court of the county where the property is located. Because a home is quite literally the most expensive thing that many of us will ever own, it is easy to lose sight of the costs that come with selling a property. 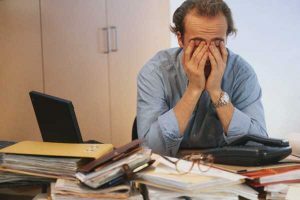 The assortment of fees, taxes, and commissions that we explored above can leave even a well-informed homeowner feeling dizzied by the process. But it is important to bear in mind that a little bit of research and some professional assistance goes a long way toward boosting the value of your property. An experienced real estate agent can help you establish an appropriate asking price for your home and market your property so that it reaches the widest possible audience. Professional realtors are connected, diligent, and knowledgeable; they do the legwork that is required in selling a property, and can provide you with the feedback necessary to get the most out of your sale. When you're selling a home, even a small investment in time and energy can yield tremendous gains. A home that is well-presented will garner a higher appraisal value and will attract more prospective buyers. Small renovations and improvements are a cost-effective way to drive up the value of your property, and a realtor can show you which improvements are worth making. Although the assistance of a trained real estate professional doesn't come without cost, those expenses will likely pale in comparison to the increase in property value and the swiftness with which realtors often succeed in selling a home. The complexities of real estate law in Florida may be intimidating on the surface, but a professional real estate agent can help you navigate those waters in order to draw up a contract that meets your needs. Knowledge is key when it comes to selling a property, and nobody is more knowledgeable when it comes to selling a home than an established real estate professional.